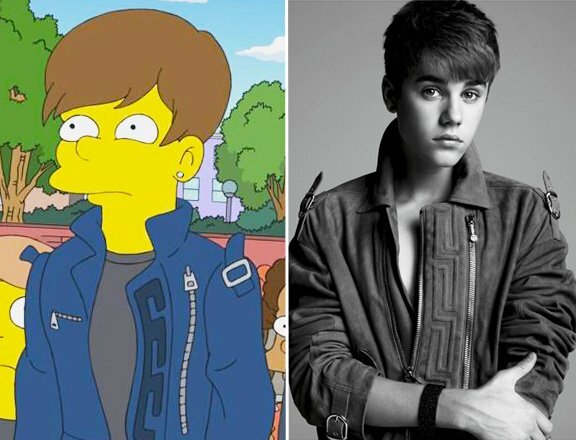 Teenage idol Justin Bieber has made a brief cameo in an episode of The Simpsons. The Simpsons episode, which has already aired in the US, also saw an appearance from the singer’s manager Scooter Braun. The episode is called The Fabulous Faker Boy and sees Marge encourage Bart to take piano lessons. Bart Simpson isn’t too interested until meets his piano teacher, who is Justin Bieber. On Sunday, Justin Bieber posted a screenshot from the show on his Twitter account. Also guest starring in the episode are SNL‘s Bill Hader, Jane Krakowski from 30 Rock and actor Patrick Stewart.